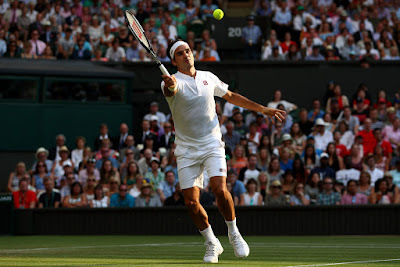 Top seed and defending champion Roger Federer advanced to the Wimbledon last 16 without dropping a set after a 6-3, 7-5, 6-2 win over German Jan-Lennard Struff on Friday. 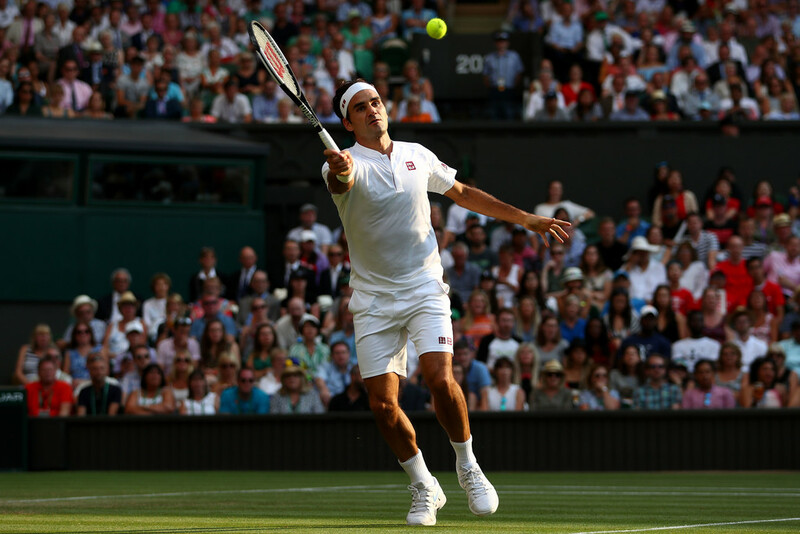 Federer, seeking a record ninth Wimbledon title, eased through the first set before the big-serving Struff put up more of a fight in the second. But Federer clinched it with a superb service game that included a wonderful volley at the end of a long rally followed by a winning drive down the line. The 36-year-old Swiss proceeded to win his 29th consecutive set at the All England Club and wrap up victory on Centre Court with an ace on his first match point in just over one and a half hours. Six more flawless sets and Federer will snap his own record of 34 consecutive Wimbledon sets, which he achieved between the third round in 2005 and the 2006 final. "Against big servers who go for a lot it's always difficult to find rhythm and be sure that you are in driver's seat until the match is over," Federer said after his 175th grasscourt win to move ahead of Jimmy Connors with the most wins on grass. "I was happy to stay calm and finish off the job. I thought I did very well today. I created more chances in the second set and was always able to stay pretty clean on my own service game. "It's a wonderful feeling walking out there, I take every match one at a time, I try to put on a good match, try hard every time, and will never underestimate anybody - that keeps me in check." Federer next faces French 22nd seed Adrian Mannarino. "In the next round it will be a lefty. It will be much more of a strategic match, I believe, the way Mannarino plays," Federer said. "I'm happy I found a way today. Some moments where it can be frustrating because you're not finding any rhythm, at times you're more reacting than playing active tennis. "I'm just very pleased that I found a way in that first set, then also stayed calm in the second set, regardless that I had maybe missed opportunities. He was always going to be a tough opponent." Federer has yet to be broken at SW19, and it's the fourth time he's reached the Round of 16 without dropping serve (2004, won title; 2014, finalist; 2015, finalist).